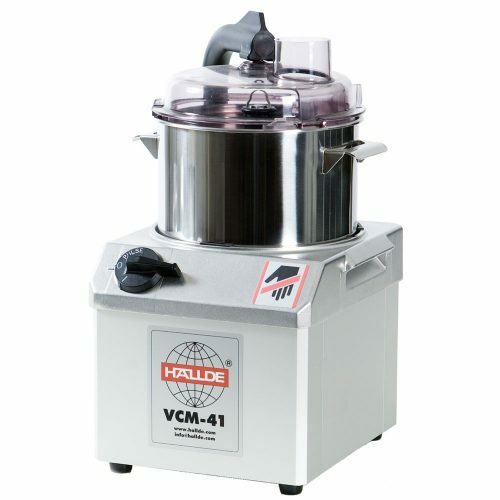 High volume vegetable preparation machine with 45 different cuts possible. 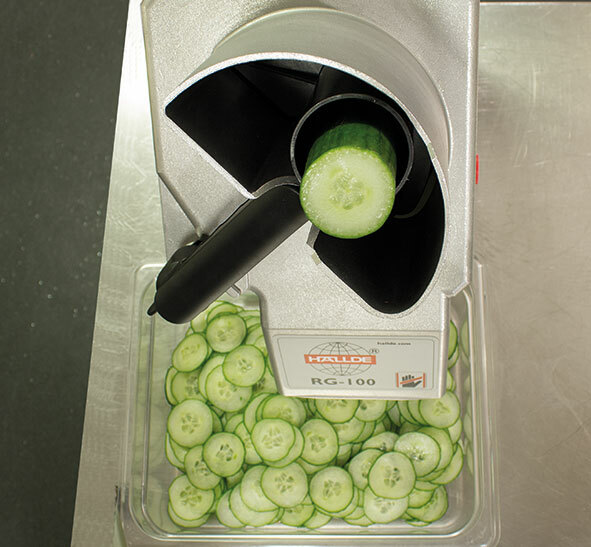 Slice, crimp, julienne, shred/grate & dice – 400 portions/day, 5kg/minute. 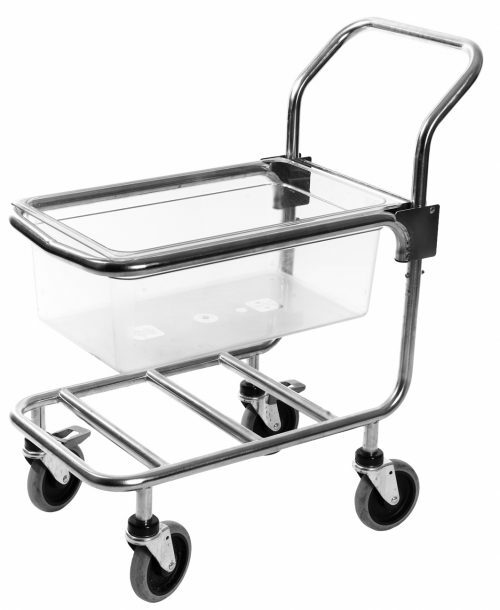 Restaurants, shop kitchens, diet kitchens, retirement homes, hospitals, schools, fast food outlets, catering, day care centres, salad bars, pizzerias, ships, and more. 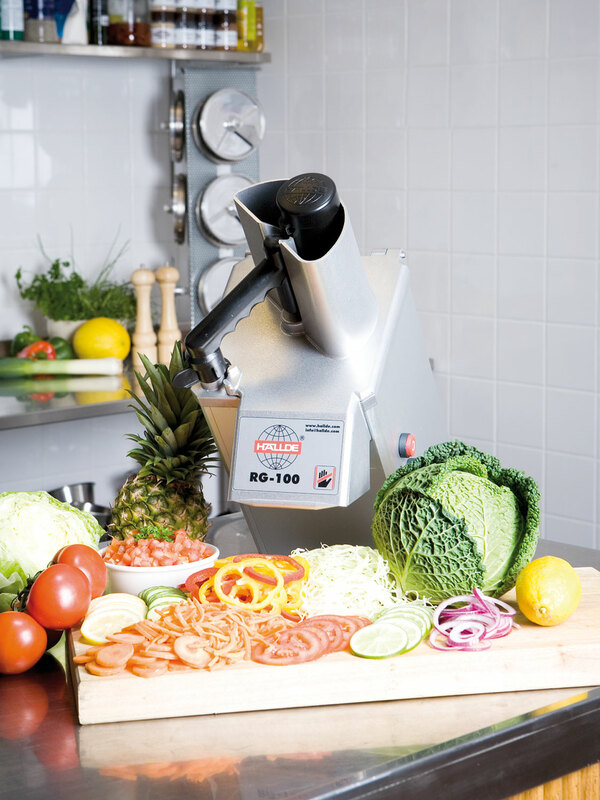 The RG-100 is designed to suit the kitchen requiring the quality and power of a large professional vegetable preparation machine without being too large and bulky. 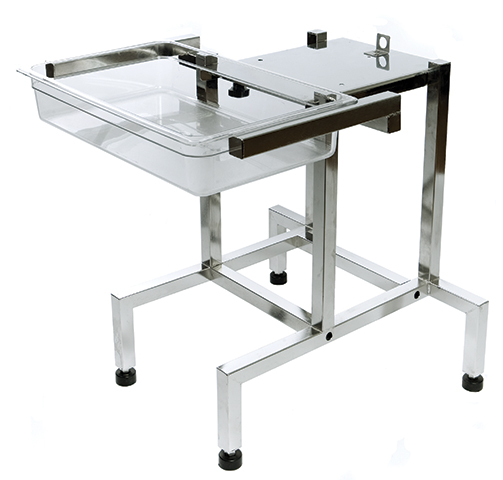 The size makes the machine suitable to use directly on a kitchen workbench. 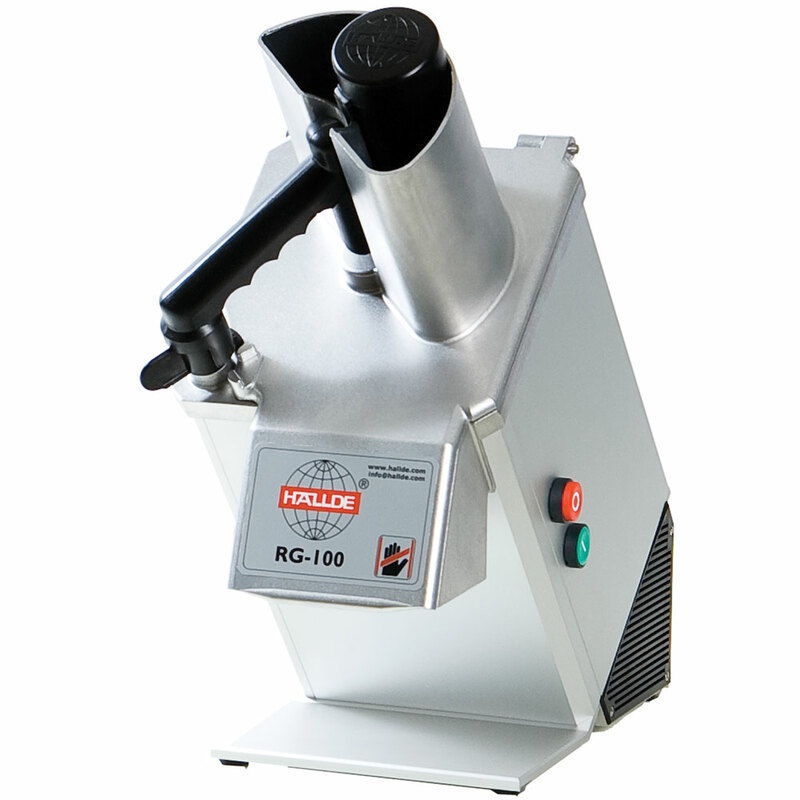 The leaning design means that the feed cylinder is always positioned at the right angle making it easy to top up and ergonomic to use. 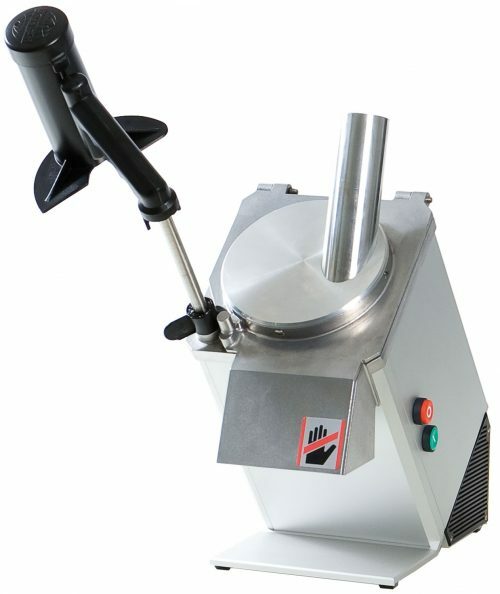 Thanks to the automatic start and stop function the machine stops as soon as the pusher plate is swung aside. When it is swung back the machine restarts and you can continue working. A clear advantage, particularly when larger volumes are involved. 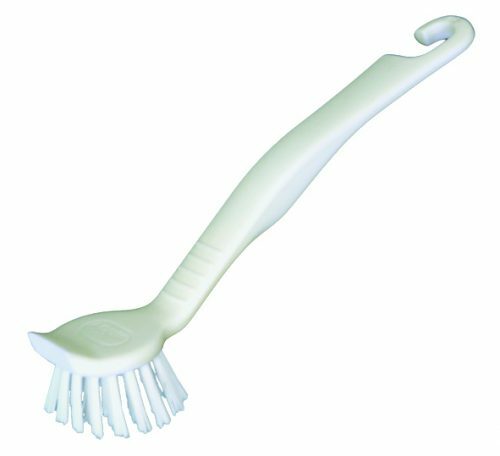 The RG-100 is manufactured solely from hygiene certified material. The machine has smooth surfaces, rounded edges and has no unnecessary recesses where food might penetrate and get stuck. 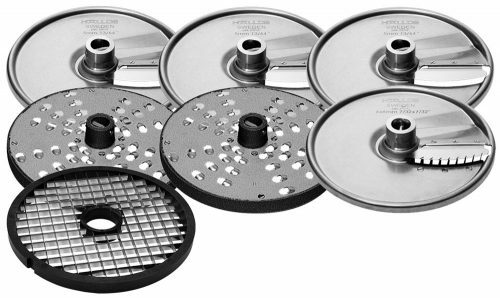 For quick cleaning, all loose parts are simple to remove for easy rinsing of the machine. 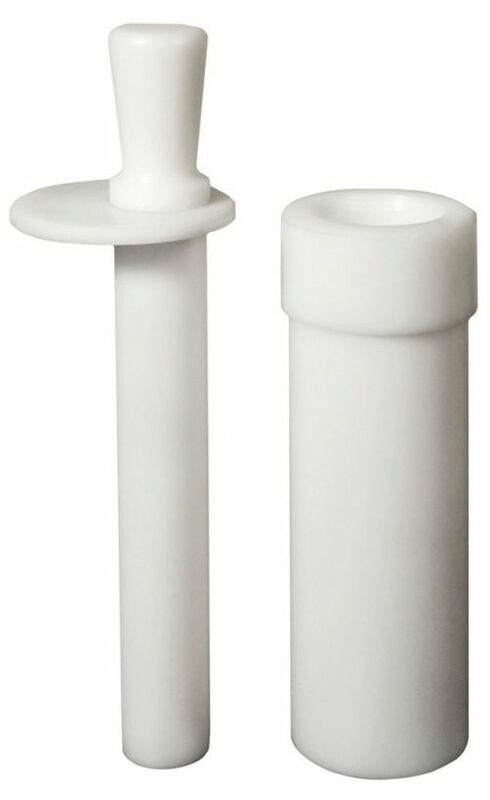 The feed cylinder is removable and can be cleaned under running water. 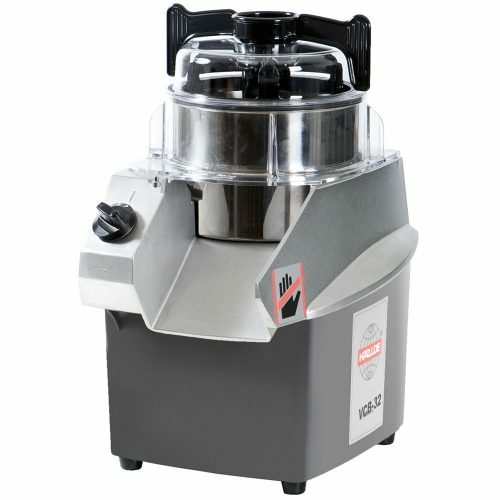 The relatively small size of the machine ensure that it does not take up a lot of space in the kitchen. Furthermore the generously sized handle on the back ensures the unit is easy to move around the kitchen and in and out of storage. 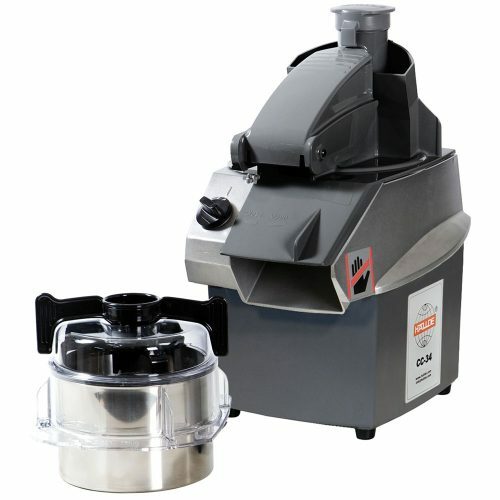 The powerful motor has a high starting and running torque and powers the direct driven cutting tool. No belts or intermediate connections. 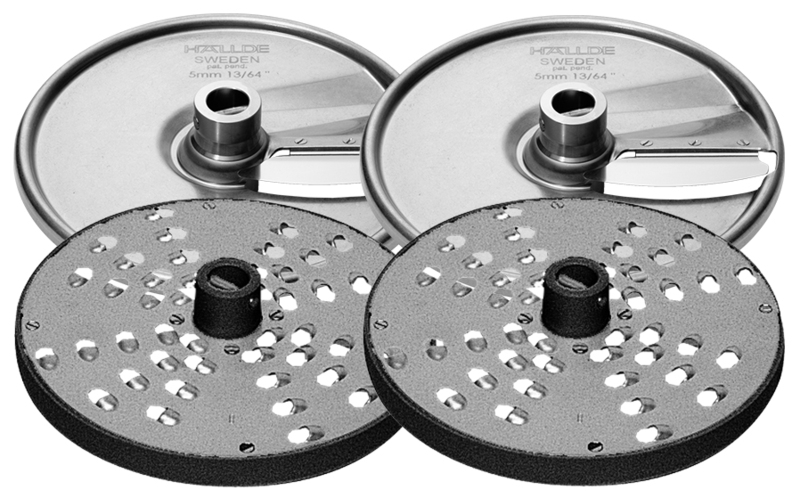 The power from the motor goes via a maintenance free gear drive. 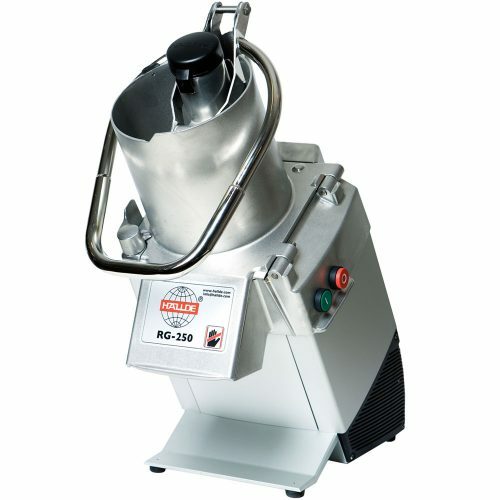 This makes the RG-100 an exceptionally reliable machine – irrespective of the products you are preparing. Our wide range of cutting tools means the RG-100 can handle every conceivable task. 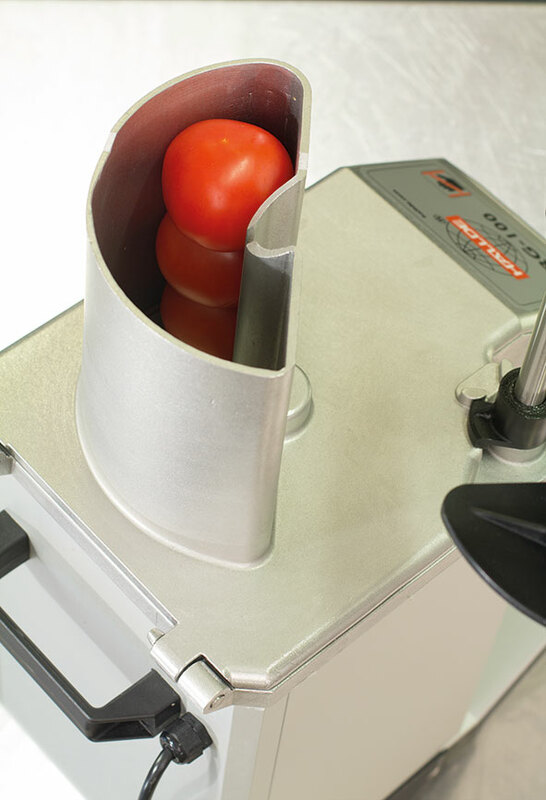 You choose the cutting tool you need to improve efficiency throughout the kitchen. 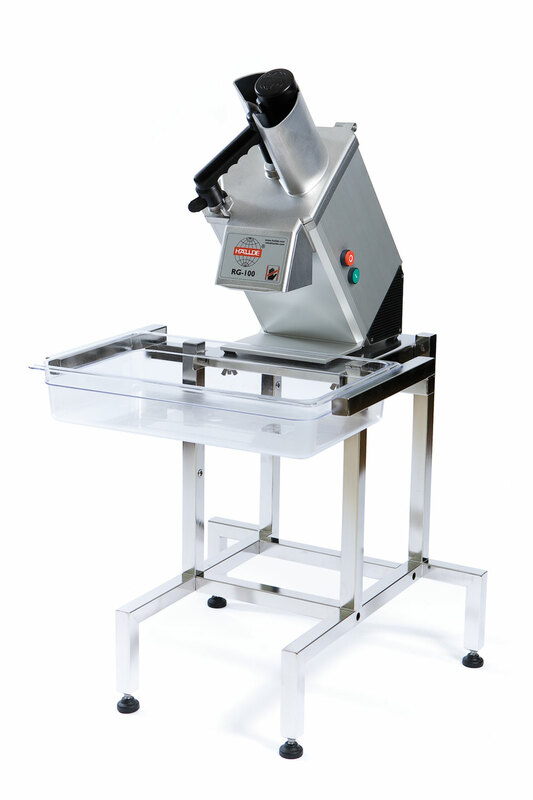 The RG-100 slices, dices, shreds, grates, cuts julienne and crimping slices – everything from firm to soft products. The knife blades and grating plates are replaceable. As a result you do not need to buy new cutting tools.